Design and innovation have a huge impact on society well beyond the creative industries – finding solutions to problems that affect every aspect of our lives. It is about rethinking and re engaging existing paradigms to stimulate new futures. Questioning the global context of design, consumption & production can bring us to sustainable solutions and social change. Design and innovation include different perspectives: eco-design tools, design-led thinking tools and methods of developing project and programme strategies. Schools of Design need to provide to students with technical knowledge and skills to achieve more sustainable interventions, encourages design-led thinking and innovation through first-hand experiences from business, engineering and design perspectives. The objective of this session organised between the IADE European University (Lisbon) and Dialogue Café Association is to share knowledge and promote mutual learning on what design can do for social change. With this purpose, during the session the IADE European University (Lisbon) and the Paris College of Arts (Paris) will present research and initiatives developed and address the main challenge of how can we improve social change by applying methodologies of design-thinking and/or product design. Students of design, social entrepreneurs, designers and any person interested in making changes happen are welcome to join us and participate in this discussion. Read the biographies of the participants and the abstracts of the projects to be presented! In the framework of the Global Exchange of Crafts Makers being implemented by Dialogue Café Association and Fashion Revolution Movement in Portugal, both entities propose to organise a Roundtable on “Sustainable Clothing: More than a Trendy Approach, the Responsibility of Rethinking the Fashion System” with the aim of sharing feedback of experiences of different projects disrupting or reconsidering the Fashion System in their countries, namely Brazil, France, Portugal. Fashion Revolution Movements and relevant projects based in the participating countries will be involved in this wide and precious discussion focusing on transparency at different levels, business activities; supply chains; and respect for social, human and environmental issues. During the session, initiatives proposing innovative practices aimed at transforming the Fashion Industry by bringing ethics, sustainability, tracking and traceability to their production processes will take the floor, present their projects and share their contribution towards a safer, cleaner, more fair and beautiful future for fashion. For more information download the concept paper or contact Fashion Revolution Portugal / Dialogue Café. Each week we discover something new about the negative impact the fast fashion industry is having in people´s live and our planet, because the abuse of resources, human and naturals. Confronting this challenge, people, aware and committed, decide to engage and be part of a global or local change. Our commitment for a better future may come from different routes, changing our consumption way of life, thinking about the impact of our daily life, or why not, sewing our own clothes. The DIY (Do It Yourself) movement and attitude is growing faster for some years now. The list of introductory workshops offered, creative sewing magazines sold, and number of interactions on Pinterest focused on DIY tips, are only few, but strong indicators of the power this movement is acquiring globally. Nevertheless, the DIY movement is having greater impact and seems to serve as powerful injection of motivation for creativity. What started as a hobby becomes stronger and more stable with business projection. The number of makers and sustainable aimed fashion projects increased, but it is this trend having a real impact on the fast fashion industry? Which are the other elements having an influence in the development of sustainable fashion initiatives? 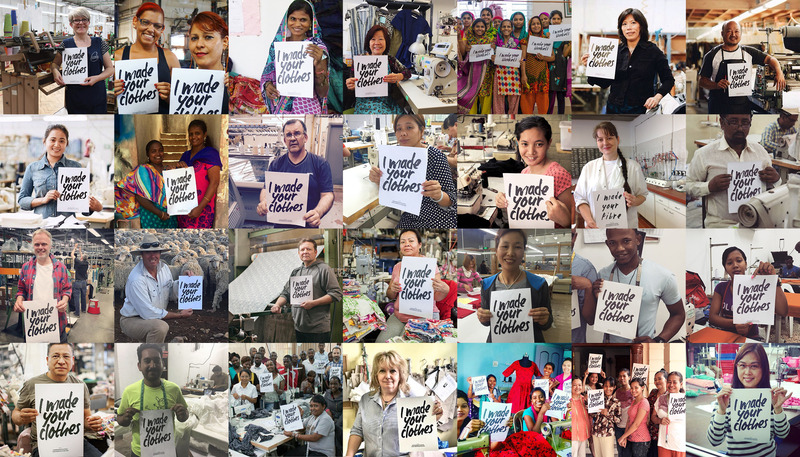 In the framework of the Global Exchange of Crafts Makers launched in April 2016, Dialogue Café Association is organising a global conversation on “Sustainable clothing, it´s the DIY movement a response to fast fashion?”. The session will take place on 29 November from 15h to 17h London time and will connect DCs based in Dialogue Cafe Lisboa (Calouste Gulbenkian Foundation) and Dialogue Café Rio de Janeiro (UCAM University). Diana Pais, Founder of Cose Mais and Miss Castelinhos; Teresa Carvalheira, Board Member of Fashion Revolution Portugal; Joana Tadeu, Co-Founder of A Montra / The Window Sustainable Curators; Rémi, Director of Charivari Lab; Ana Rita Albuquerque from VOLUME Atelier; and Sara Mazurca of Mazurca Handmade. Michelle Narita, Co-Founder of Slow Down Fashion, Helena Rocha from Pipa Social, and Sílvia Blumberg from Sílvia Blumberg Joias. Makers, creative and engaged people are invited to participate in this debate and discuss about how the DIY movement can, in one hand, fight against the impact the fast fashion has in our planet, in other hand, strengthen sustainable clothing initiatives. For more information about the session download the concept paper and the programme! Sign Up by emailing us!